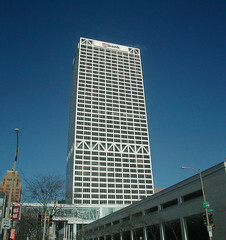 美國銀行大廈(US Bank Center): 777 E Wisconsin Ave. 四十二層高的大廈建於1973, 為威斯康辛州最高大樓. 市政廳(City Hall): N Water 和 E Wells Sts.密爾瓦基市最重要的地標. 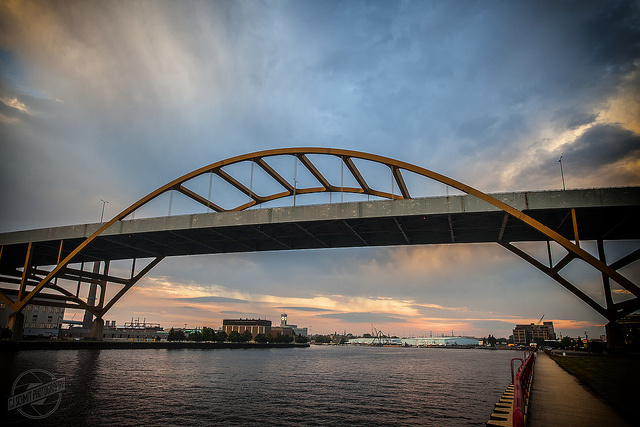 為德國式建築風格. 聖約薩法天主教堂(St. Josaphat Basilica): 2333 S 6th St. 波蘭風格的天主教堂. 艾倫布萊德利鐘樓(Allen-Bradley Clocktower): 11520 W Calumet Rd, 於2010年前為為世界上最大的四面鐘. 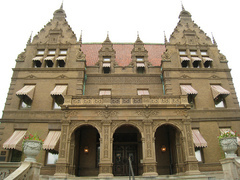 帕布斯特豪宅(Pabst Mansion): 2000 W Wisconsin Ave. 建於 1892年, 為當地啤酒大亨帕布斯特所擁有, 可窺看當時密爾瓦基的繁華. 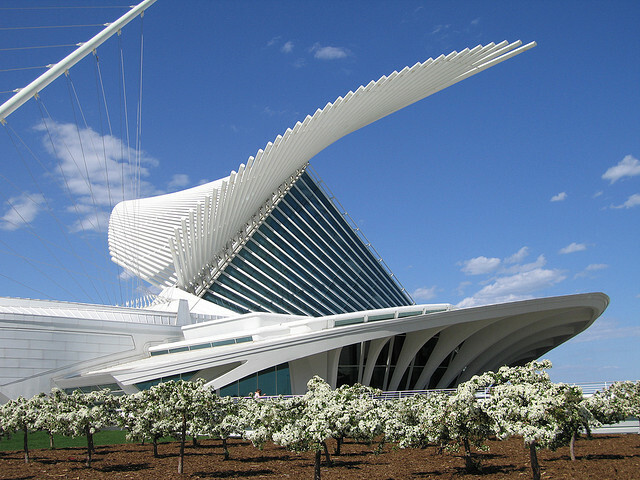 密爾瓦基美術館(Milwaukee Art Museum):700 N. Art Museum Drive, 為密爾瓦基市知名地標, 有飛鳥翅膀般的造型, 收藏兩萬五千件藝術包括德國印象派,海地藝術,美國藝術等. 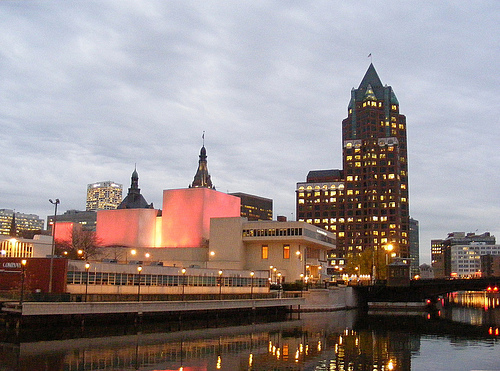 密爾瓦基歷史博物館(Milwaukee Public Museum): 800 W Wells.展區包括非洲區, 極地區, 亞洲區, 昆蟲區, 歐洲村, 生命奧秘, 海洋區, 北美印第安區, 太平洋島嶼區, 中南美歷史區, 蝴蝶區, 熱帶雨林, 密爾瓦基老街, 第三星球, 近東區等. 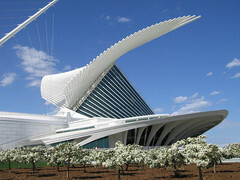 威斯康辛碼頭發現世界博物館(Discovery World at Pier Wisconsin): 500 N. Harbor Dr. 科學互動展式, 帆船以及水族館. 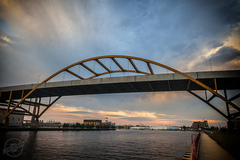 查理艾莉絲美術館(Charles Allis Art Museum): 1801 N Prospect. 建於1909年, 為國家古蹟, 展示當地藝術品. 哈雷機車博物館(Harley-Davidson Museum): 400 Canal St. 展式哈雷機車相關歷史,文物,人物,照片,影片,服飾等. 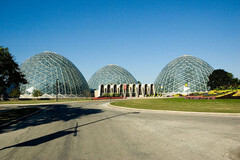 圓頂植物園(The Domes): S Layton Blvd 和 W Pierce St. 為密爾瓦基市知名地標. 玻璃圓形建築內為植物園, 包括沙漠植物, 雨林等. 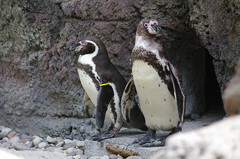 密爾瓦基縣立動物園(Milwaukee County Zoo): 103rd and W Bluemound. 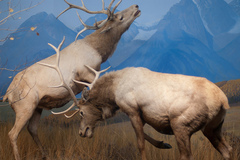 佔地兩百英畝並展示2500隻動物. 展區包括企鵝區, 鳥園, 非洲猩猩, 世界靈長類, 日本猴, 兩棲和魚類.